Pop tarts bring back many childhood memories. You knew it was going to be a good day if you had a pop tart for breakfast. However, as an adult, my taste buds have clearly changed. If you were to give me one today, you'd probably have to pay me to eat it. How did I actually enjoy eating that processed, sprinkle-covered, particle-board like rectangle we called breakfast? I’m all about taking advantage of local produce during the summer months. And as the summer comes to an end, I find myself scrambling to get one last fix before the fruit growing season is over. One of my favourite local fruit is peaches, grown in Ontario’s Niagara Region. 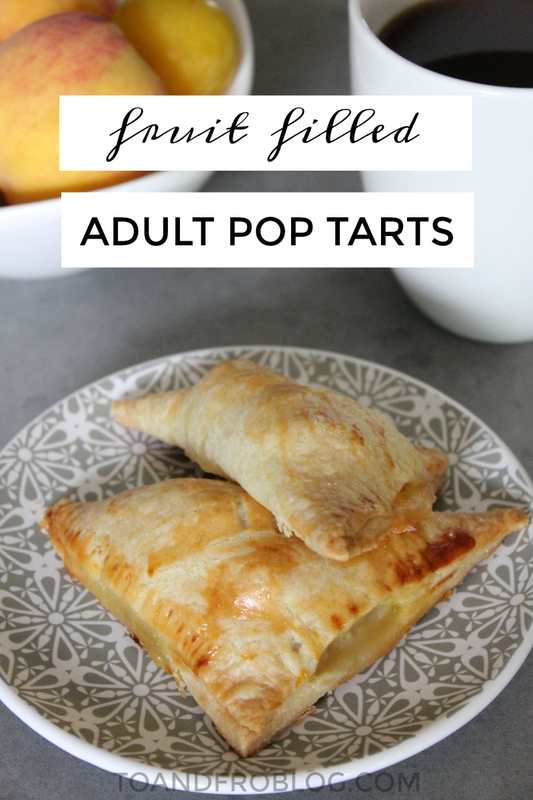 Combined with local yellow plums, I made these delicious fruit-filled adult pop tarts. These ooey gooey (non particle board-like) fruit filled tarts are perfect for a grab and go breakfast, to accompany your morning coffee or warmed with a little ice cream for dessert. In a large bowl, mix together fruit, sugar, orange zest and juice, salt and cornstarch until well combined. Set aside. Remove one pie crust from tin. On a lightly floured work surface, roll out into an approximate 15x10 inch rectangle. Cut into six 5 inch squares. Repeat with second pie crust. Working with one square at a time, place approximately two tablespoons of fruit mixture in the centre or the dough. Brush two connecting edges with beaten egg and fold on the diagonal over filling, pressing the seal. Repeat with remaining squares. 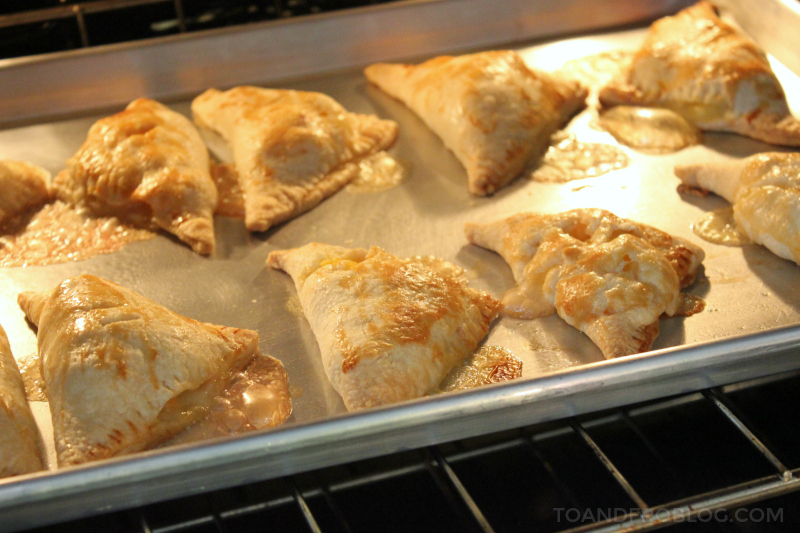 Place triangle-shaped pies on prepared baking sheet. Brush lightly with remaining egg wash and sprinkle with sugar. Using a pair of clean kitchen scissors, make a small cut in the centre of each pie to allow steam to escape when baking. Bake until crusts are golden brown and filling is bubbling, approximately 25 to 30 minutes. The secret to making this recipe easier is using store bought frozen pie crust for the pastry. Ain’t no body got time to make the homemade stuff. Unless you do, then kudos to you. 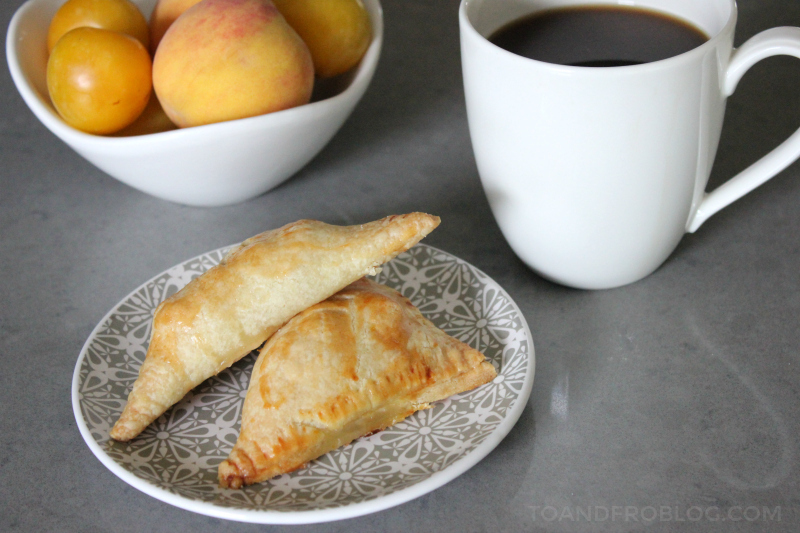 The fruit used in these pop tarts doesn't need to be limited to plums and peaches like the ones I made. You can really add whatever fruit you'd like. 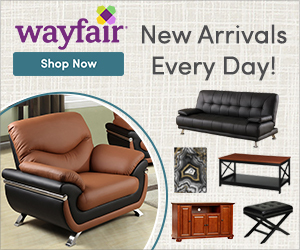 I would love to try them with apples or berries! Who says pop tarts are just for kids?! Are you a pop tart fan? What is your favourite fruit flavour? I’d love to hear!